If you are in mining, you must have crossed the PDAC at some point. 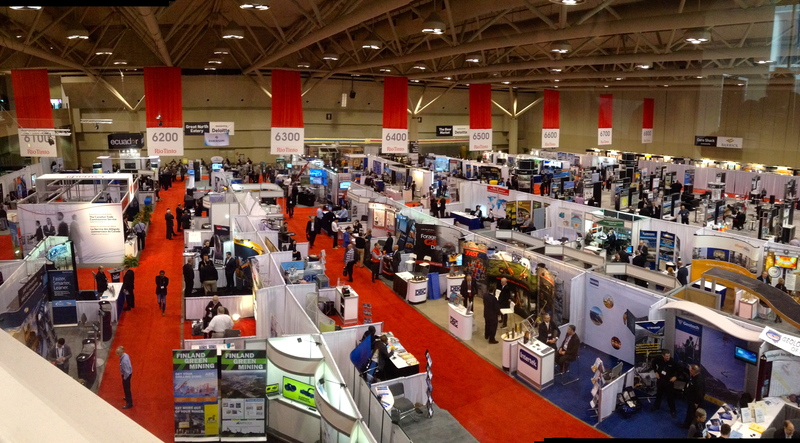 The PDAC stands for Prospectors and Developers Association of Canada; it is the most famous mineral industry convention. It occurs annually at the Metro Toronto Convention centre around the month of March. This four-day congress has an international reputation attracting over 1,000 exhibitors and 20,000 attendees from around the world for networking, deal-making and scientific exchange. It consists of a trade show and a series of technical sessions, short courses as well as social and networking events. 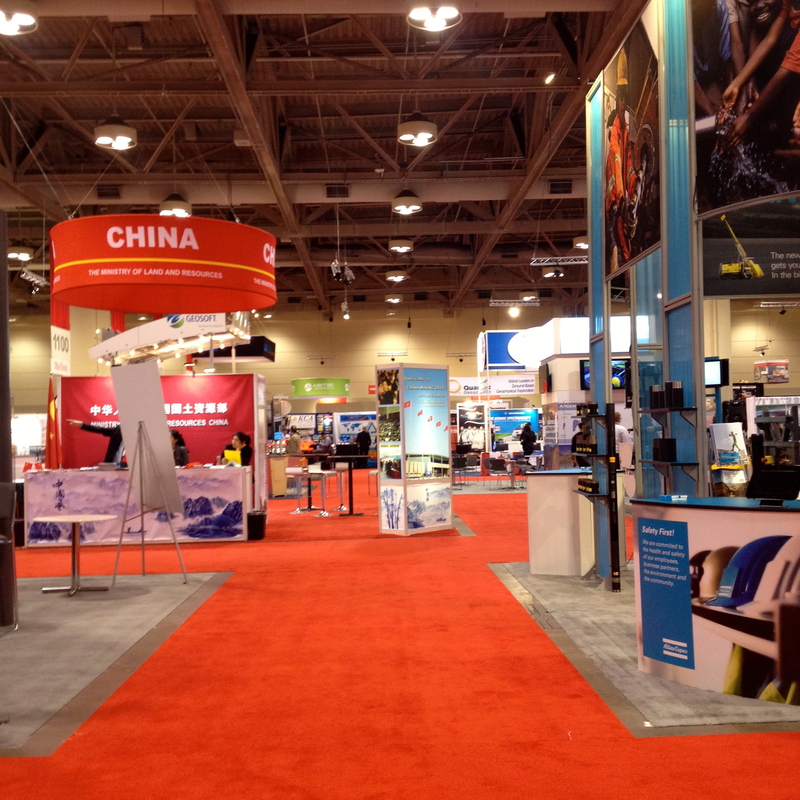 The trade-show is the most overwhelming and spectacular part of the PDAC, I think! It is a hub for all junior mining and exploration companies and the world’s biggest investors. Worth mentioning the notorious mining companies’ parties at the Fairmont Royal York hotel every night. As a student, the PDAC can seem overwhelming at first but the organization has planned some events exclusively for students. These include guided tours of the trade show, a PDAC survival skills workshop, and a student-industry networking luncheon. It’s important to understand that the PDAC is not a place to search for jobs or coops; it’s a place to learn about the challenges the industry is facing and, more importantly to connect with industry professionals and leaders. Connecting means approaching other people, interacting with them to learn about their work and experience and develop contacts. You can never have too much of those! 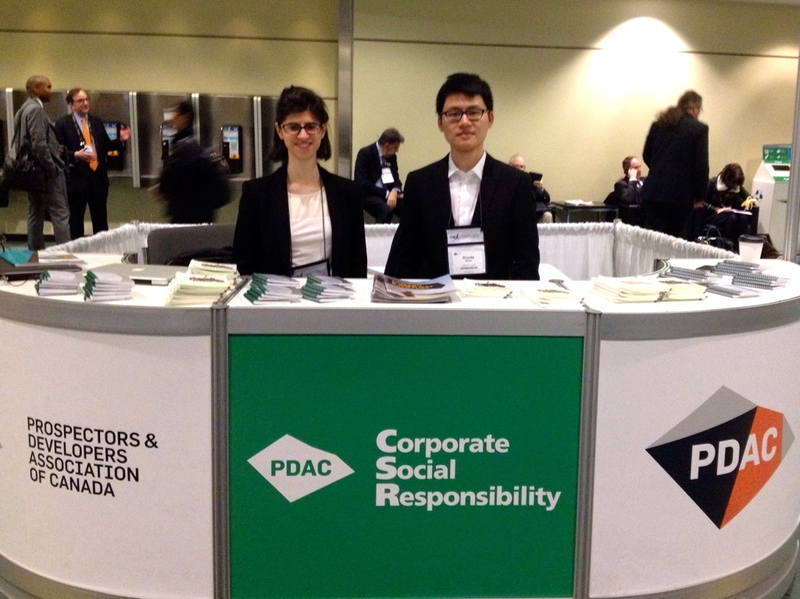 This year was my second time attending the convention and my first time volunteering for the PDAC. Volunteering is an amazing opportunity to meet professionals while learning more on what the PDAC does as an organization (not to mention that volunteers also attend the convention for free!) My role was to attend to the E3 Plus booth. 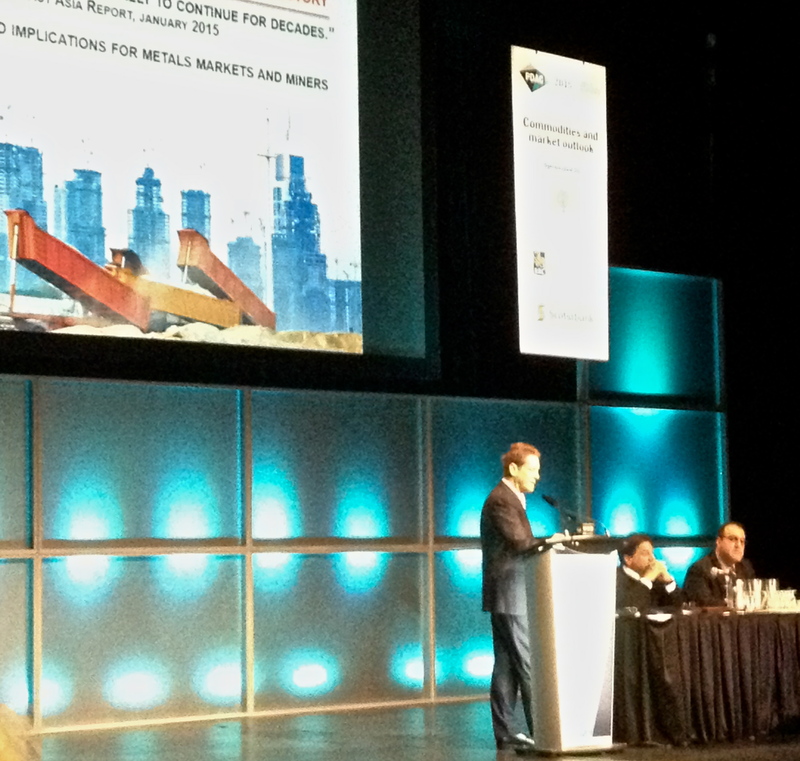 The E3 Plus is a PDAC initiative to provide a framework for responsible exploration. Its purpose is to encourage the exploration companies to improve on their social, environmental and health and safety performance by providing them with online toolkits and guidelines to do so. 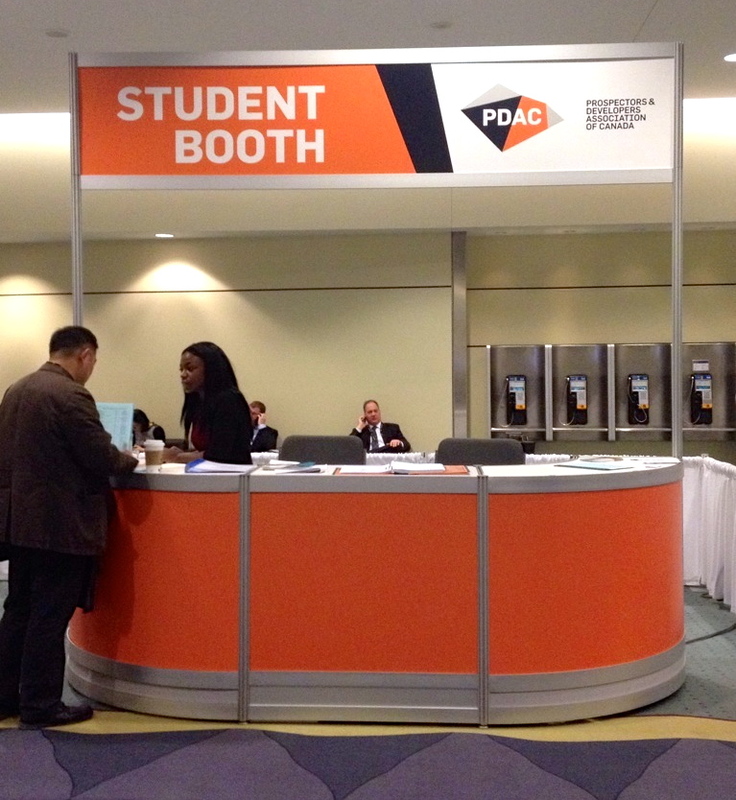 For me, attending the PDAC has been a great experience these past two years! I have had the opportunity to attend a technical session on commodities and market outlook where mining mogul Robert Friedland gave his insight on the minerals of the future. 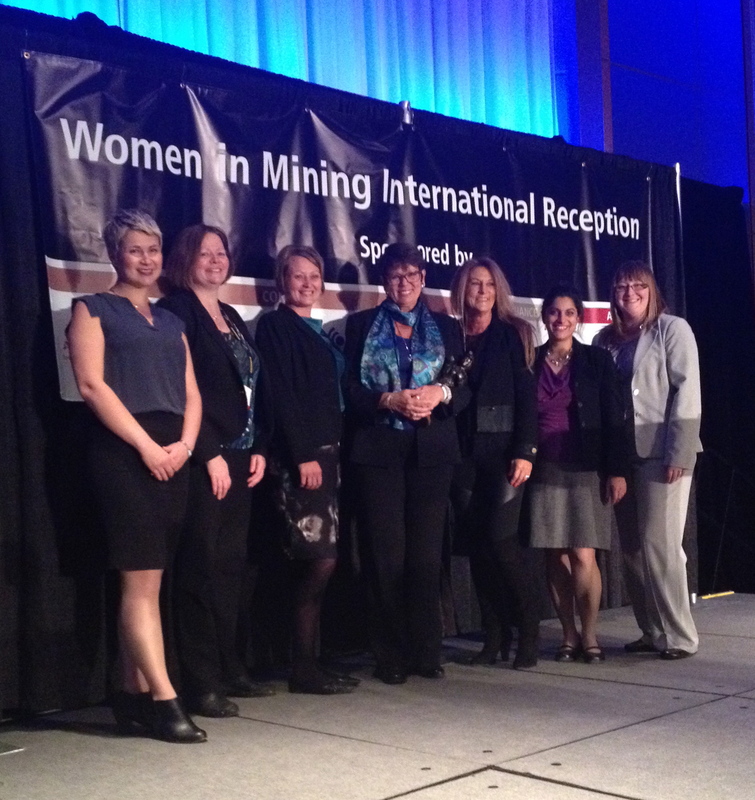 One of my favourite moments of the PDAC occurred at the WIM networking reception. During that event the 2015 WIM trailblazer winner was announced and I had the opportunity to meet winner Betty-Ann Heggie.